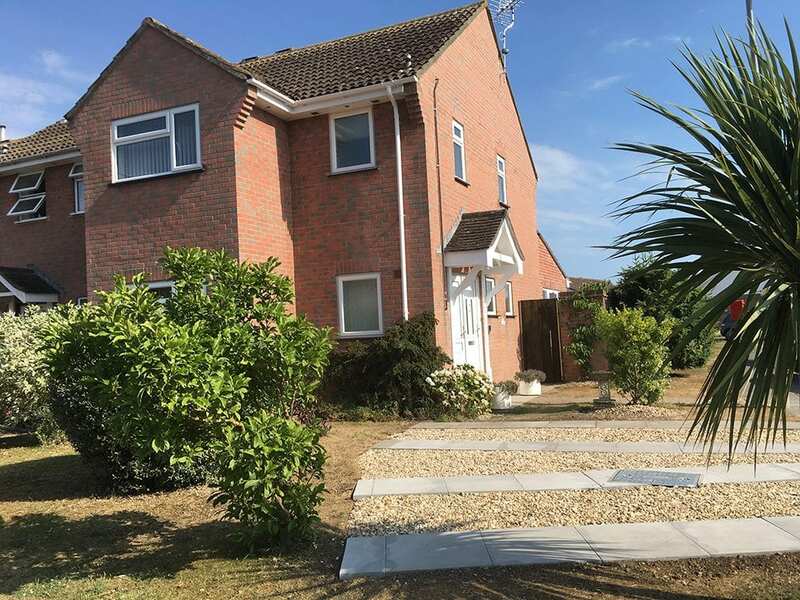 Bill’s House is a much loved 3 bedroom semi-detached home still used by the owner’s family for holidays and has the benefit of a ground floor study which can double as a 4th bedroom. The varied shops, restaurants, coffee shops and pubs of Bridport are just a few minutes walk away. You can also walk to The Bridport Arts Centre and the quirky Electric Palace Cinema featuring live comedy and music nights. Bridport Leisure Centre, outdoor tennis courts and Skateboard Park are also close by. Microwave, Dishwasher, Washing machine Fridge freezer. One small pet by agreement when booking. Bill’s House is ideal for family beach holidays. The beach and fishing harbor at West Bay are just a short drive away. For the energetic, walk there along the old railway or try the footpaths across the fields. 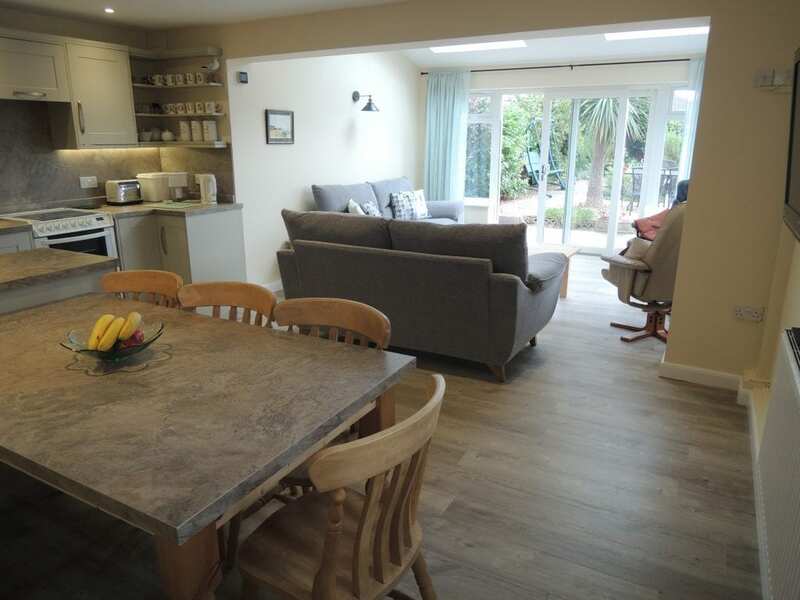 A perfect location for walkers, cyclists and fishermen or for a quiet relaxing holiday exploring the charming Dorset market town of Bridport and the many surrounding places of interest. Or why not try a gourmet break sampling local produce? We suggest Friday as a changeover day as it allows guests to enjoy the bustling Bridport street market held every Saturday. However, changeover day can be flexible subject to our booking calendar. On the ground floor, the entrance hall leads to an open-plan kitchen-diner and lounge area. 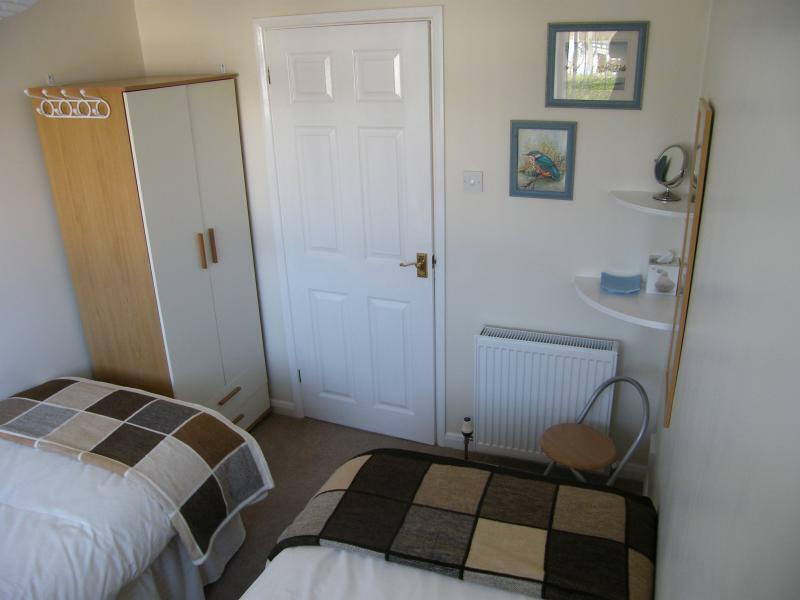 The kitchen-diner is fully equipped with a cooker, fridge freezer, dishwasher, microwave and washing machine. Tea-towels are provided. 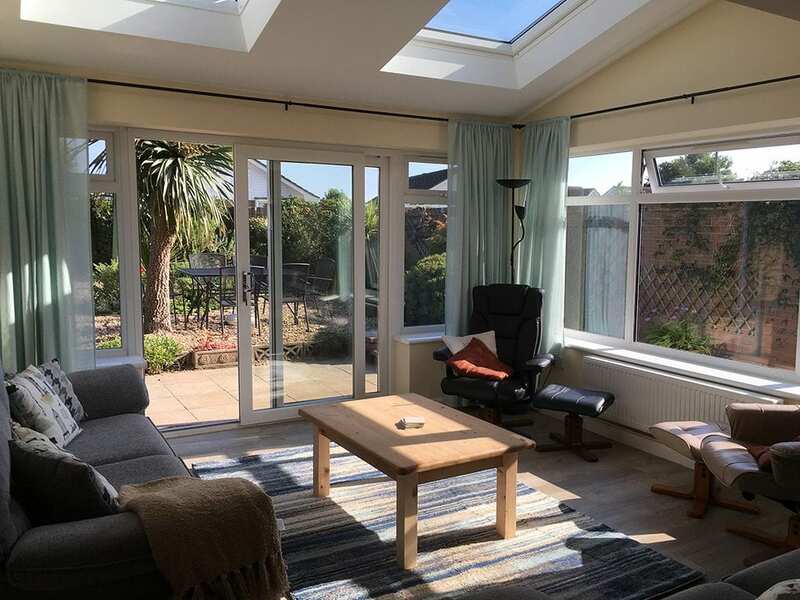 The lounge area offers plenty of natural light thanks to large rooflights, a large window to the side aspect and patio doors that lead out to the secluded and sun-drenched walled garden. 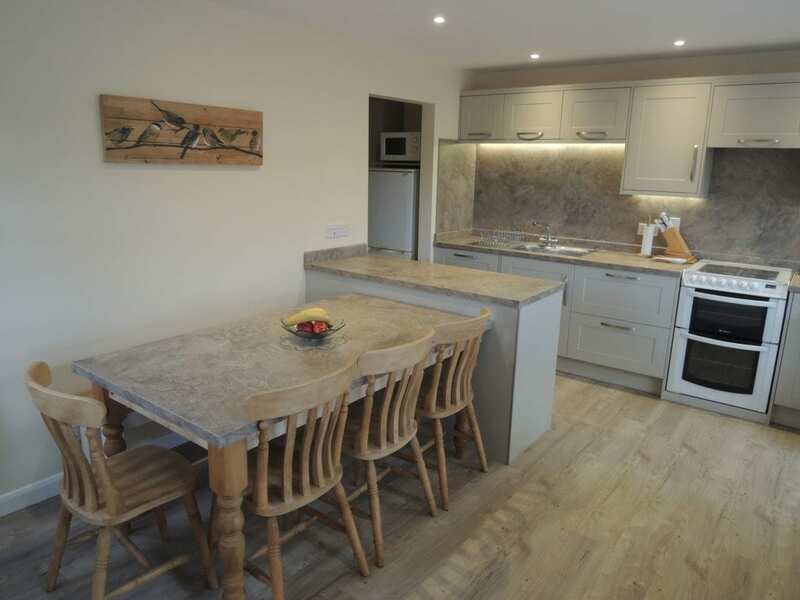 It’s the perfect place to cook, eat, chat and relax! 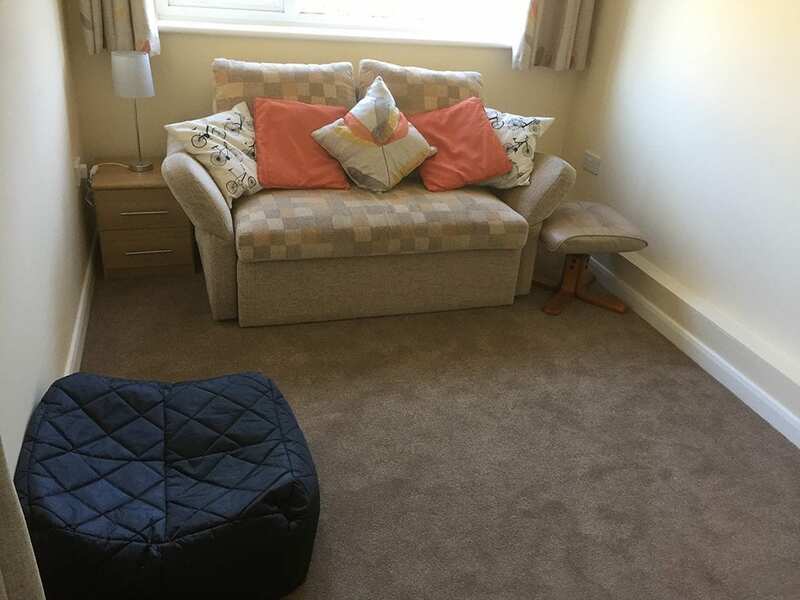 On the ground floor, there is also a study that doubles as a 4th bedroom thanks to a comfortable sofa bed. 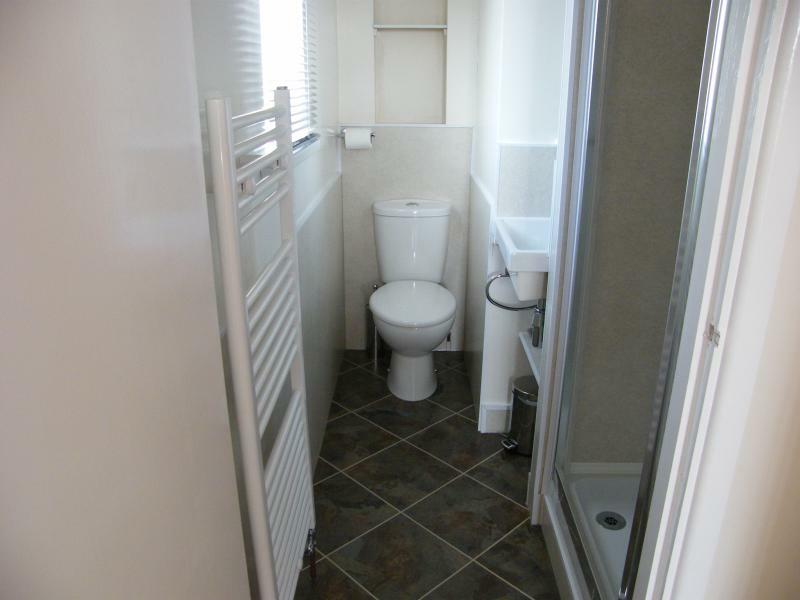 Adjacent to this room you will find a downstairs toilet, hand basin and cloakroom area. 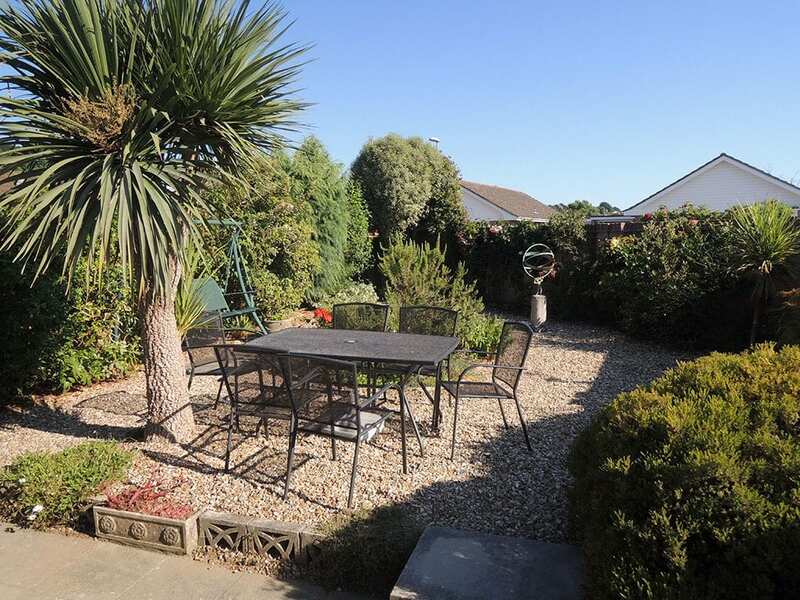 At the rear of the property, you’ll find a beautiful secluded, walled garden that enjoys the sun all day long. There is a large patio area with garden furniture – perfect to enjoy a sunny lunch or evening meal. 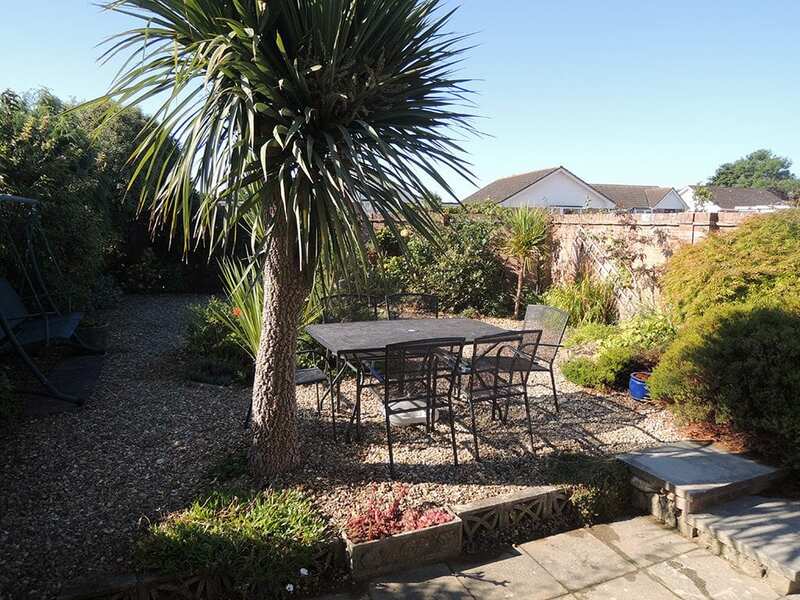 The garden offers a three-seater swing seat – perfect for reading a book or soaking up some vitamin D.
There is parking for two cars on the driveway adjacent the front door. 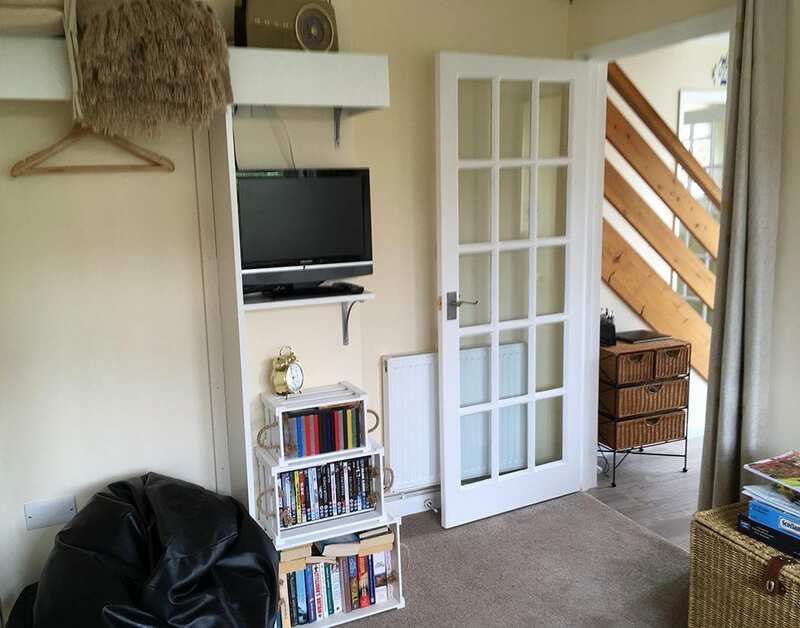 There is also a lockable service cupboard (next to the front door) which stores some beach equipment (bucket & spades, etc.) and can also be used for storing walking boots, etc. Via the side gate is an area of hardstanding with a bicycle Wall Anchor Point. 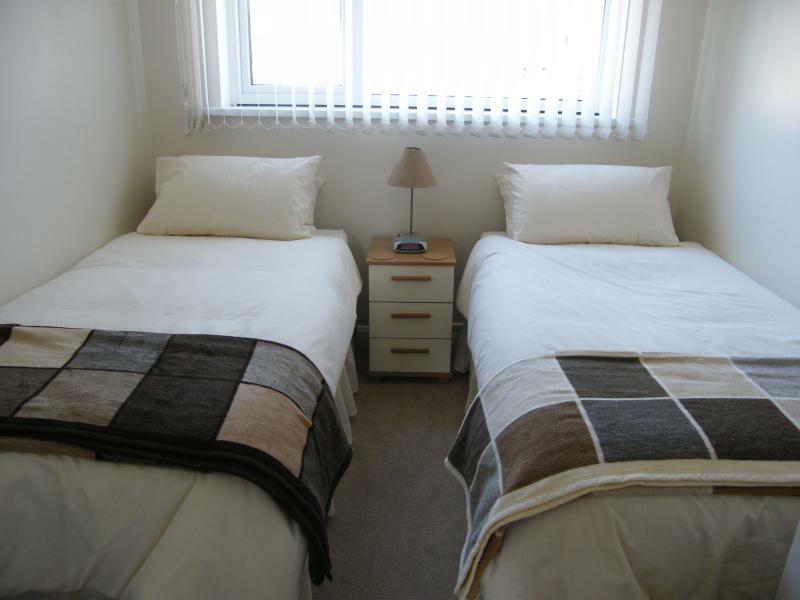 The master bedroom offers a king sized bed and is a double aspect room. 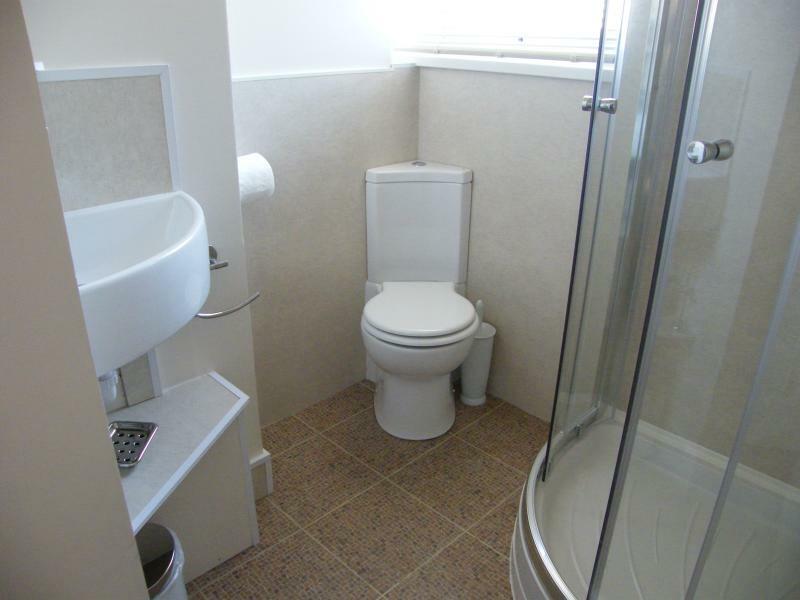 There is also an en-suite offering a shower, WC and handbasin. 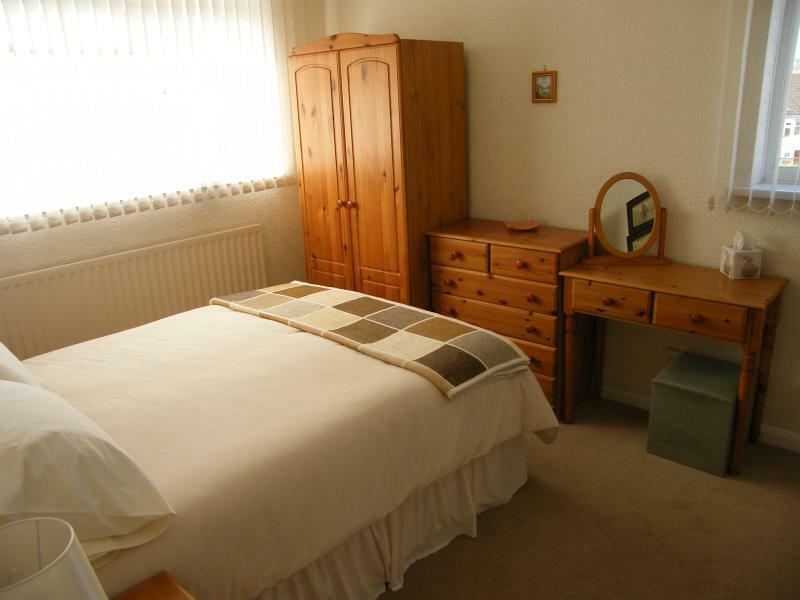 The second bedroom offers twin beds and is adjacent to the family shower room. 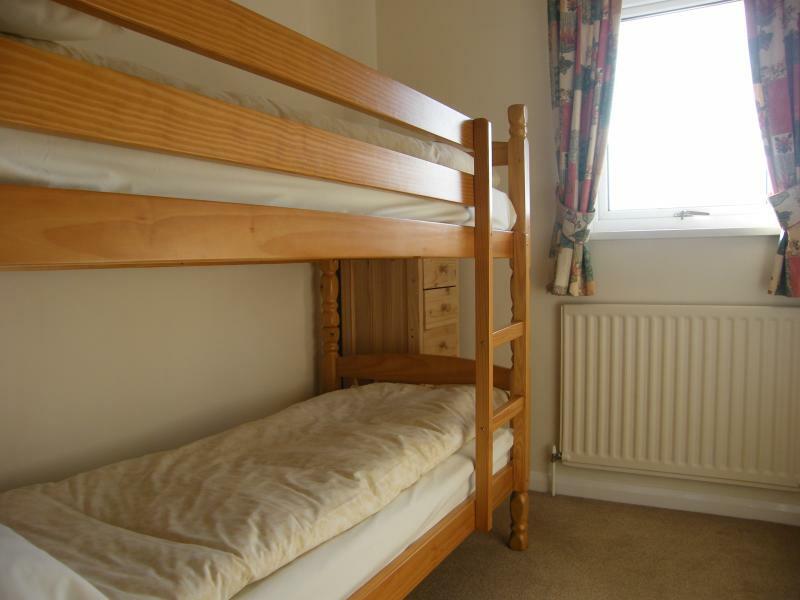 Bedroom 3 offers 2 bunk beds which are ideal for children. 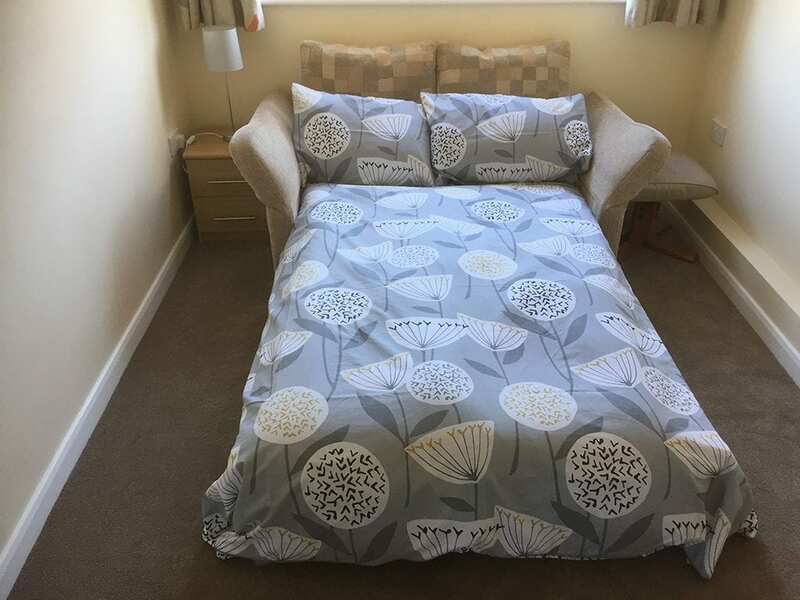 A travel cot is also available on request (bedding is not supplied). The family shower room offers an electric shower, WC and handbasin.